Reminder! 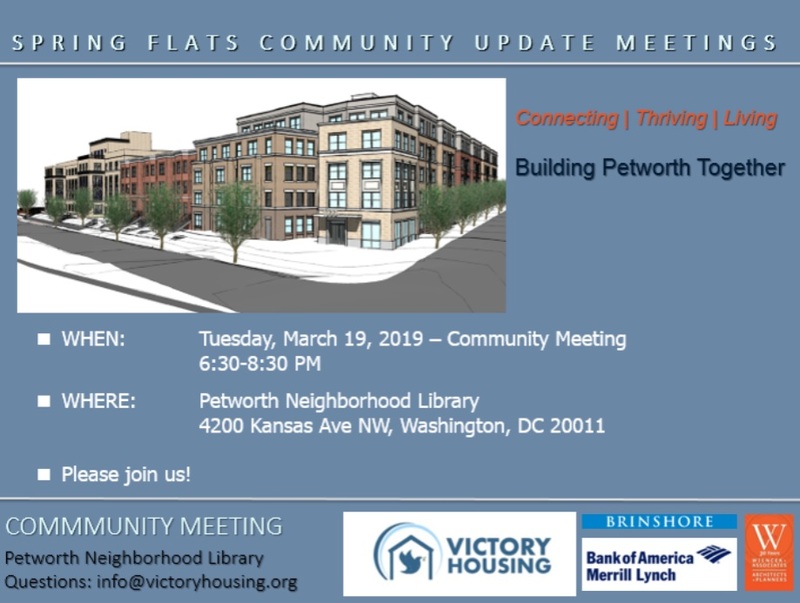 Hebrew Home Development Update Meeting Tonight at Petworth Library | Park View, D.C. This entry was posted on March 19, 2019 at 9:02 am and is filed under Development, Housing. You can subscribe via RSS 2.0 feed to this post's comments. Thank you for the reminder! I note that paper flyers were delivered in the area for this meeting as well. Why bother. The neighborhood was steamrolled by outside activists.